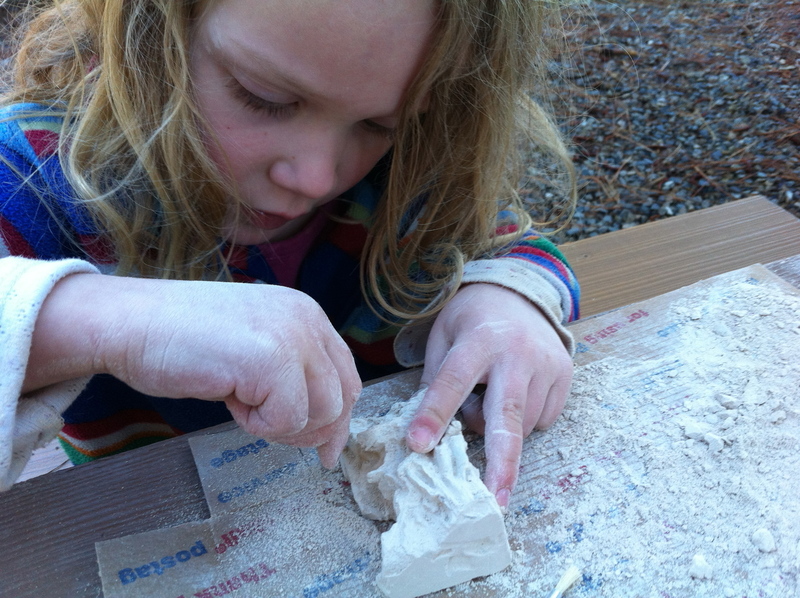 This was a set of 6 different dinosaur fossils set in plaster to be “excavated” by the child. It was a fun and challenging project! 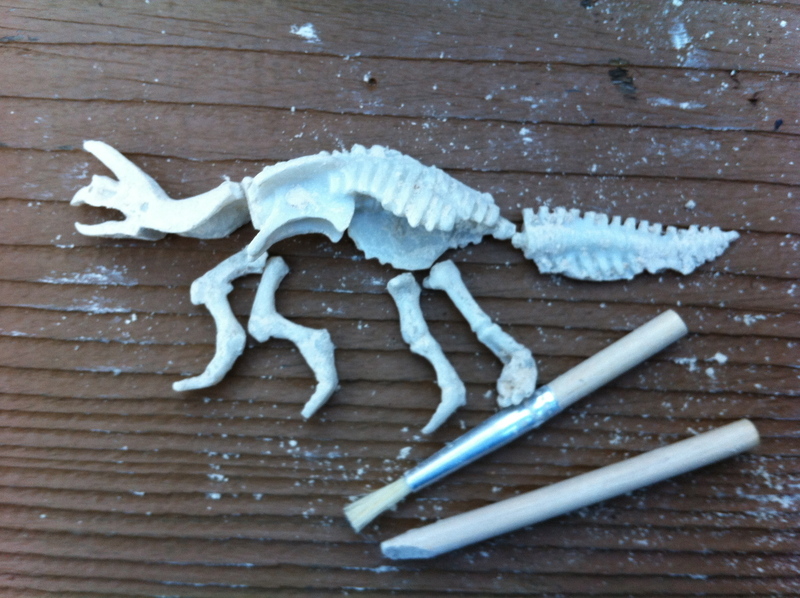 The set came with digging tools and little brushes for carefully removing the skeleton “fossils” and once the separate bones are removed, it can be identified. 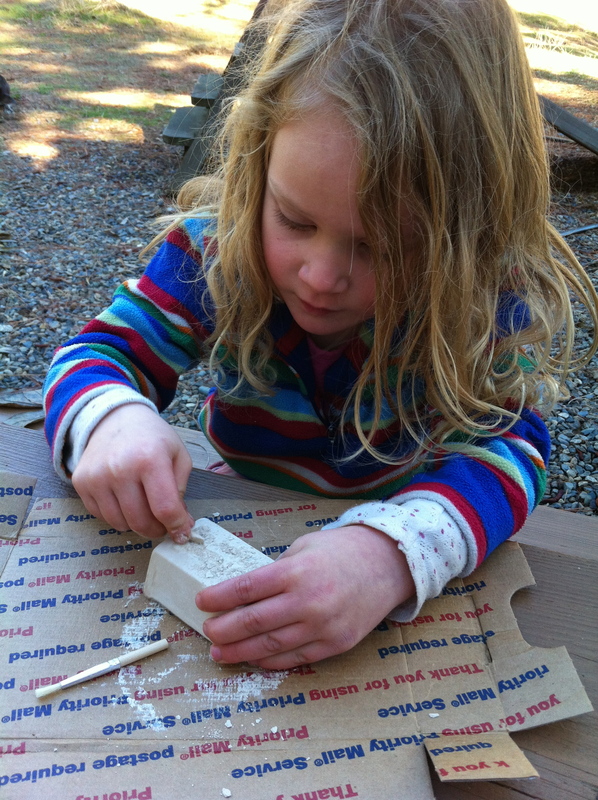 We found that the “bones” had a nice texture and felt very “bone like”, not like plastic. Captain spent a couple of hours carefully scraping, brushing, and exclaiming over each new piece and all throughout we talked about different types of dinosaurs, the difference between archaeology and paleontology and other related stuff. 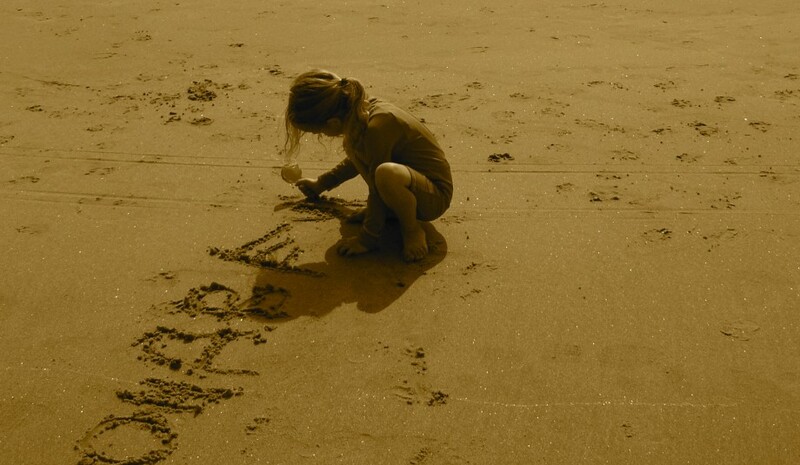 I encouraged her to take breaks whenever she needed to rest her hands and I highly recommend doing this project outdoors as it is pretty dusty. The kit does not come with the glue necessary to assemble it when you are done but any model glue will work. I found this kit at orientaltrading.com.